Discover the awe-inspiring ancient city of Machu Picchu that was virtually forgotten until the early part of the 20th century. 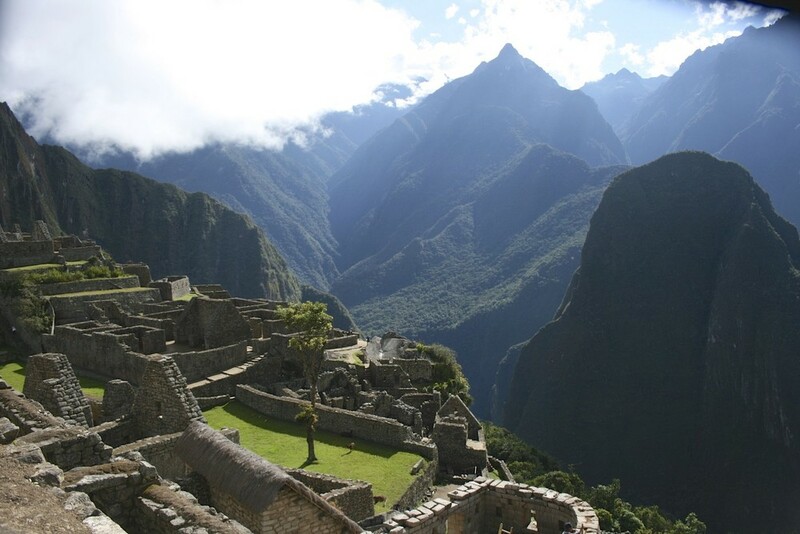 Visit the Inca ruins of Tarawasi near the town of Limatambo. Trek through beautiful variations of flora, including banana, granadilla, and avocado orchards and coffee plantations (said to be one of the best organic coffees in the world). The lodge’s en-route offer high-end facilities, where guests can take a relaxing soak in an outdoor Jacuzzi after a long days trek. Discover the local cuisine by partaking in an optional cooking class led by locally renowned chefs. A group size of four to twelve people. If you would like to have a more personalised service below the recommended group size, we would be happy to facilitate this for you. Arrive Cusco and meet with your personal Expedition Leader who will help you check in to your luxury accommodation. You will have the chance to relax post flight and receive a comprehensive brief from your Expedition Leader on the adventure you are about to undertake. As the city of Cusco is set at an altitude of 3,400m, it is an ideal location to acclimatise and relax before we start our trek to Machu Picchu. What’s more is that Cusco has a fantastic blend of history and cultural sites which make it a perfect place to spend a few days. Saksaywaman, a UNESCO World heritage site, is a citadel located in the northern outskirts of Cusco. Sections of the citadel date back to around 1100AD where it was first built by the Killke culture. The location of the Saksaywaman is worth a visit in itself; located on a steep hill that overlooks the city, the fortified complex has a wide view of the valley to the southeast. The city of Cusco itself is bursting with places to explore. Qurikancha, The Temple of the Sun, is one of the most revered temples in the city. Whilst the main Cathedral in Cusco, completed in 1654, holds many archeological artifacts and relics that are certainly worth a look at. The Plaza de Armas, the main square of Cusco, is a great place to rest on the benches, soak up the gardens, and admire the fountain in the center. The area is also very lively and beautiful at night, with people mulling about and the architecture lit up with spotlights. A beautiful city! Cusco to Salkantay Lodge & Adventure Resort at Soraypampa (3,869m/12,690ft). After spending a few days in Cusco acclimatising, we’ll be ready to set off on the trek. 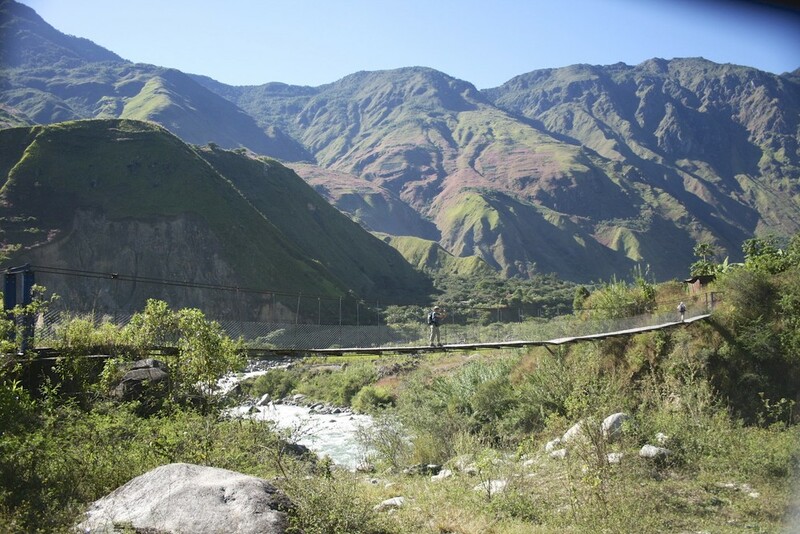 During this journey we will take a short break to visit the Inca ruins of Tarawasi near the town of Limatambo (approx. 1.5 hrs from Cusco). After leaving Limatambo, we pass through the mountain village of Mollepata where we stop for a short coffee break before ascending a winding mountain road to a place called Marcoccasa. Here, we will begin our trek to Soraypampa, on an old route called the “Camino Real” (Royal Path). 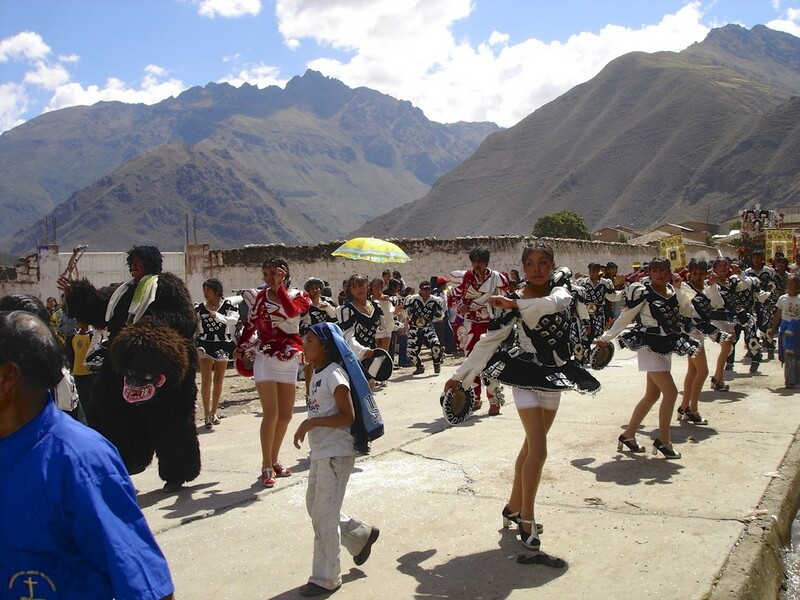 The SLAR takes its name from the majestic peak at the head of the valley – the “Salkantay”, the 2nd most sacred peak in Inca mythology and, at 20,600 ft (6,270 m), the highest in the region. The first afternoon is spent at leisure to adjust to the altitude. Today will be spent at leisure for rest or activities, depending upon your level of acclimatisation. The most popular activity at Soraypampa is a half-day hike (3-4 hours) to a glacial lake where the more adventurous might take a very short swim! This activity is excellent for acclimatization and a first immersion into high-mountain trekking. In the afternoon, guests may choose to trade the glacial swim for a relaxing soak in our outdoor Jacuzzi. Soraypampa to Wayra Lodge at Huayraccmachay (3,906m/12,812 ft). This is the big day: the start of the four-day trek to Machu Picchu. After an early start, we will hike up the Rio Blanco valley, circling Humantay Peak across from Salkantay Peak. The highest point on the trek is a pass at 4,638m (15,213 ft). At the pass we stop to take in views of snow-capped peaks of the Vilcabamba Range in every direction, the south face of Salkantay towering above us. We will keep our eyes out for Andean condors, often visible in this area. From the pass we continue our descent toward the Wayra Lodge (“Wayra”: wind; ‘the place where the wind lives’) our destination for the evening. On this day we enjoy a leisurely breakfast at Wayra Lodge. We then begin our trek by hiking downhill above the Salkantay River, through increasingly verdant scenery. We will stay at Colpa Lodge which is located in an open promontory at the confluence of three rivers. The outdoor hot tub in this lodge has prominent views of lush green mountains and a small, far-away, local town. Collpapampa to Lucma Lodge at Lucmabamba (2,135m/7,003 ft). We depart early today and head down the Santa Teresa River Valley, through more populated rural areas. We will pass through banana, granadilla, and avocado orchards and coffee plantations (said to be one of the best organic coffees in the world). After another hour of trekking a private vehicle arrives to take us to the beginning of the “Llactapata Inca Trail” (30- minute drive). From the head of the trail it is a short climb (30 min.) to the Lucma Lodge, set in an avocado orchard. We arrive in time to allow for exploration of the small village of Lucmabamba and possibly meeting with members of the local community. Lucmabamba to Aguas Calientes (1,900 m/6,232 ft). After an early start and a hearty breakfast, we tackle the last day of our trek. We head uphill for 2-3 hours towards Llactapata pass (2,736 m/8,974ft), where we come upon a distant but quite special view of Machu Picchu from the southwest, a view few tourists ever glimpse. An added value are the Llactapata Ruins, which have recently been restored. We then begin our final descent to the Aobamba River through lush bamboo forests and more orchards and coffee plantations (2-3 hour descent). Aguas Calientes and Machu Picchu are a short (30 minutes), scenic train ride away. Today we’ll spend the morning at Machu Picchu, exploring all the unique aspects it has to offer. This awe-inspiring ancient city was never revealed to the conquering Spaniards and was virtually forgotten until the early part of the 20th century. Archaeologists estimate that approximately 1200 people could have lived in the area, though many theorize it was most likely a retreat for Incan rulers. Due to it’s isolation from the rest of Peru, living in the area full time would require traveling great distances just to reach the nearest village. In the afternoon we will make our way back to Cusco, where we will be able to relax post trek. Didn’t manage to visit everywhere you wanted to in the first few days in Cusco? Don’t worry; a final day can be spent at your leisure here. After a good few days trekking, this could be a prime opportunity to explore the local cuisine of Cusco. There is even an opportunity to partake in a cooking class that the hotel offers to guests should they wish. There is also the opportunity to relax in the hotels Therapy Suit where you can take away the aches and pains from the trek with a Thai massage or a relaxing aromatherapy session. The cost of the trip includes dining in the high-end hotels and lodges for both breakfast and dinner. During the trekking days your Expedition Leader will provide you with lunch. These lunches will be nutritious and tasty and tailored to your tastes, you will not be left wanting more! Do you provide expert training advice in advance of the trip? Yes. Even before you go we’ll be on-hand to give you expert advice and can provide you with a comprehensive personalised training plan should you desire. Our Expedition Leaders have a high level of experience and can give you sound advice based on their numerous past experiences. You do not need to tip the local staff such as chefs and guides. Unlike other companies, we have included the tipping into the price so there are no hidden surprises when you arrive in the country. Tipping the Expedition Leader is at your discretion but will be much appreciated, especially after you witness their dedication and professionalism in looking after you and ensuring your happiness. Will I require any spending money? Throughout the experience, you won’t need much spending money as the trip is comprehensively covered in the initial cost. You may require money for the very occasional meal as shown on the schedule and any alcoholic drinks. You may also wish to buy some souvenirs or make a satellite phone call home or for work purposes. It will be best to bring your usual currency and this can be changed into local currency soon after arrival. You should not need any special type of travel insurance for this trip. Do ensure that your insurance covers the South American region. If you do not have adequate insurance cover, The Adventure Boutique team can refer you to appropriate insurers. This is dependent on your nationality, our team can advise you on this before signing up. British citizens do not need a visa to visit Peru for the designated time frame. Health facilities, hygiene and disease risks vary worldwide. You should take health advice about your specific needs as early as possible. Sources of information include: www.fco.gov.uk, www.hpa.org.uk, www.nathnac.org, your General Practitioner or a specialist clinic. Clients travelling to worldwide destinations are recommended to seek advice from the sources mentioned above and, where recommended, obtain vaccinations or tablets for protection against, for example, Malaria, Yellow Fever, Hepatitis A, Polio and Typhoid. You'll find some phone reception during your trip, partially when not in the jungle. We specially carry a satellite phone in case of emergencies, but we also realise people may need to keep in touch with their loved ones or have some work commitments to deal with. The satellite phone can be used for a charge. Can I organise this trip exclusively for myself, friends and family? If you have a group of friends or family who want to travel together, a bespoke date can certainly be arranged to suit your party. If you do have your own group and want to discuss any variations in the schedule or particular objectives, feel free to discuss this with The Adventure Boutique team.